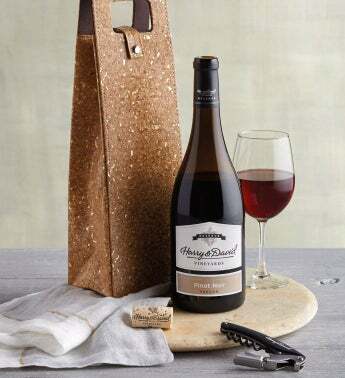 Say thank you or congratulations with a bottle of Harry & David™ wine crafted in Southern Oregon. A bottle of our award-winning Reserve Pinot Noir arrives in its own leather-like, snap-front tote, along with a wine opener. Long after the last sip has been savored, this gift will be a reminder of your thoughtfulness.